Hello everyone. I'd like to share with you a new youtube channel called "F1 Livery Histories" which catalogues the different paint jobs, colour schemes & sponsors adopted by different Formula One teams over the years. Last edited by F1 Livery Histories on Sun Feb 11, 2018 11:38 am, edited 2 times in total. The sight of the 97T and its livery was one of the reasons I fell in love with F1 back in 1985. Still the best livery I've seen on a grand prix car and look, you can even see the car number. Gorgeous livery. So simple, yet so triumphant-looking. It was just a better era of racing in general tbh. Alas, that's true. I guess whilst we're all having a grumble about the Halo, we should remember its intended purpose. Although, I can't imagine the Halo not affecting the driver's depth perception somewhat. Seems like it'd be a nightmare to drive with. 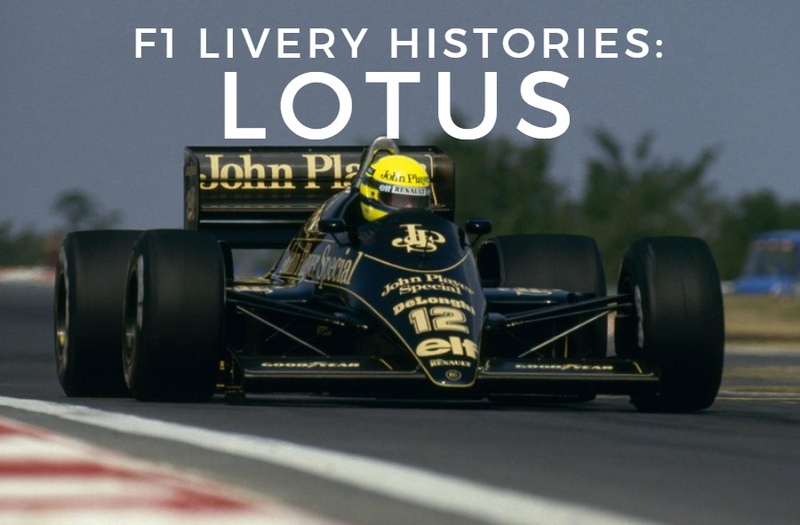 Very nice, well assembled retrospective of Lotus. Looking forward to watching other teams. Thanks. I forgot to thank you for the video, silly of me. After the tragedies of Palleti & Villeneuve in early 1982 the sport saw 1 fatality between June of that year & May 1994 and that was in testing sadly as primarily a result of poor marshalling and lack of appropriate emergency resources. Almost 11 yrs fatality free. Yes 1 too many but hardly the image of carnage your post invokes. what museum are some of those cars sitting in? When I was a kid I had a radio that was modeled on one of the first JPS Lotus'. In regards to which museums those cars are in nowadays, I wouldn't really know for the most part. I can only guess most of them are still in the UK, probably at places like Goodwood & Donington. I can confirm that a fair few of the Camel Lotus Hondas are in museums in Japan, naturally. And that radio looks really cool, as far as I can tell it's the very first JPS Lotus, from '72. So Depailler and De Angelis don't count as it was testing? There were 4 fatalities in the 80's. But even 1 is more than it should be. I did not invoke that it was a bloodbath, but that era had more fatalities than today, so I don't know what are you on about here. De Angelis is the one between 82 and 94. Depailler was before 1982. Whilst in the current era we have 2. So yes if your being pedantic the 12 years between 82 and 94 saw less F1 deaths than the last 12 years. Ok, if we are being pedantic then we need to define what we call an era I guess; I just took the 80's, as that car was from that time (if we want to be strict, the Lotus car of 1985 pictured above fits that "era", as after the late 80's we had the first computerised systems and driver aids so different era I guess). I did not talk about specific years though. Jezza13 just took the years that there were no deaths probably because it suited his example. But in the 80's era without driver aids, there Depailler, De Angelis, Palleti and Villeneuve, so 4 drivers that died in my view. While I like the 97T, I thought the Brabham BT54 was the prettiest car that year and likely the most unique. I find the 97T too tall and bulky in the center for the rest of the car. Many of the aerodynamic ideologies and functional systems of the cars of the 80's led to the Tech revolution of the 90's which are still in use today, although their ultra-refined forms camouflage them. This is why F1 needs lighten up a bit on the excessive restrictions. Yeah i'll cop that. The BT54 was a magnificent looking car but I don't think the livery was as nice as the Lotus though. 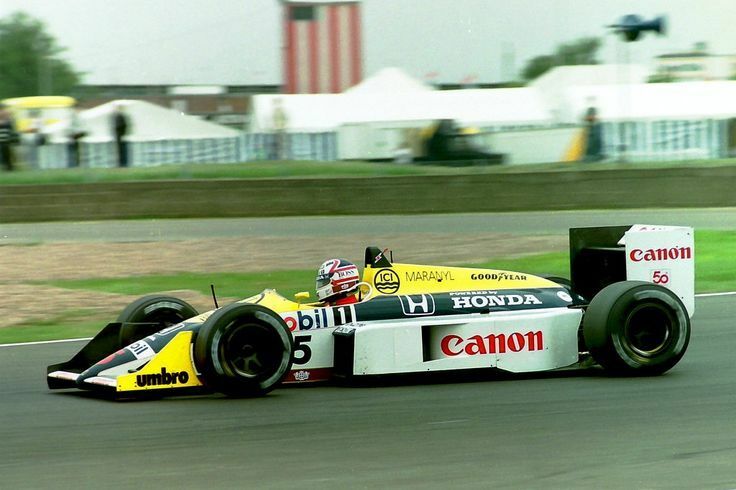 Talking about the bulky look of the Doucarouge designed Lotus, and me being a Senna fan, when I heard that the 99T was to be Honda powered like the Williams, I was cocka - hoop at the thought of Ayrton being the 1987 WDC. Then they rolled it out and as soon as I saw it I remember thinking to myself "There's no way it'll beat the Williams". It looked like an Elephant up against a race horse. Interesting comparison. When looking at them both side by side like that the Williams looks much more balanced, & able to attack the corners better. I could imagine Mansell's front tyres would have been under a fair amount of pressure though! Well you can classify eras regarding drivers aids, drivers, years, whatever. I kind of picked those years as from about 83 onwards it became pretty much the turbo era. Yeah Renault introduced the Turbo in 77 but it wasn't until 1983 the grid decided turbo was the future and it was the final victory for the legendary Cosworth DFV donk. The Ferrari, Renault and Brabham turbo's dominated the season. Nelson Piquet became the first driver to win the WDC in a turbo powered car. Also the use of Carbon Fibre and Kevlar pretty much became the big thing and it was also the year ground effects were outlawed as it was deemed to be too dangerous for the sport. I just started at this point and took it to the length of the turbo era (end of 88 - which included the death of DeAngelis) up until the end of 94. You can agree or disagree but thats why I picked those years, not because it suited my example. The second instalment in the series. This time on the vibrant & colourful Benetton team. Last edited by F1 Livery Histories on Sun Feb 11, 2018 11:39 am, edited 1 time in total. Fair enough. As I talked about the 80's though, I count 4 deaths. That also fits the turbo era. And it may be that it was '83 that the turbo became the must have, but the engines back then were not similar, only in the late 90's did all of the grid have similar engines (from memory when Ferrari went from V12 to V10 like the rest of the grid). 1983(or even earlier) to 1988 - Turbo era. 1989 to 1993 - Return to naturally aspirated engines. 1994 to 1997 - Post-ban on traction control & active suspension. There were, however, lots of other regulation changes during this period. It was also during this stage that Ferrari adopted V10 engines. 1998 to 2003(?) - Introduction of narrower chassis' & grooved tyres. Well this sheds some light then! I always included '77 to '88 as turbo era myself. 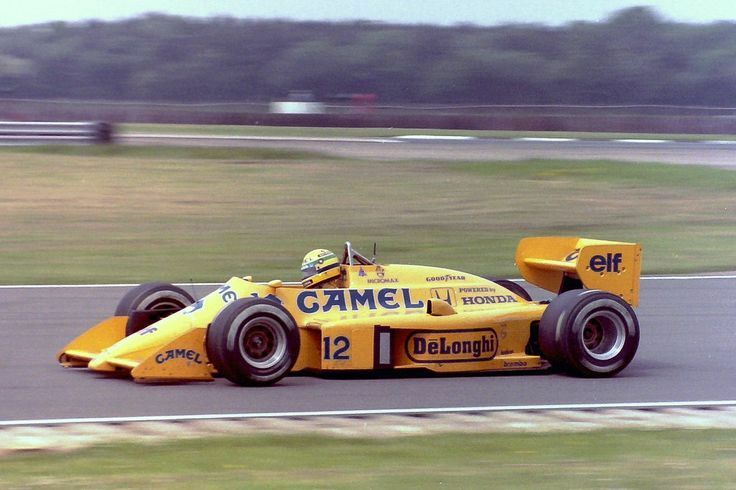 True in the first year it was not much happening and they didn't turn the tide overnight, but Renault started raking the wins and it started convincing the other engine manufacturers. 1950-1958: Front-engined cars, basically the same as pre-war machines. 1959-1967: The glory days of the classic era, pre-aerodynamics. 1968-1979: Transitional era between the emergence of wings and the advent of turbocharged engines. 1980-1994: The so-called 'golden era' of Formula One, from the debut of Alain Prost to the death of Ayrton Senna. Episode three of F1 Livery Histories covers the long and winding road travelled by perennial underdogs, a team renowned for innovation, Tyrrell Racing. I'm even accepting requests if anyone here wants to suggest a team they'd like to see profiled. Last edited by F1 Livery Histories on Mon Feb 12, 2018 12:44 am, edited 1 time in total. I don't know about stickying - although I'm sure I'll get a few protests there - but it's been one of the highlights of the off-season for me. Thanks for all the positivity everyone. Anything that makes the off-season go a little bit quicker is always awesome. Yeah, I agree that you can't really justify stickying this thread. But I'll be keeping it updated regularly, plenty more videos are on their way! Hi everyone. Back again with the next instalment in the series. A short, but sweet video on Stewart Grand Prix. Only a few more days to go until the start of the season, they've been working extensively on the circuit here in Melbourne. A whole bunch of traffic is being redirected away from the lake. Exciting times. Last edited by F1 Livery Histories on Sat Jun 02, 2018 9:12 am, edited 2 times in total. Great video, thanks for making these, they are great fun to watch! I learned something new. Hey everyone, back again with another vid. Not long to go now until we'll be racing again in 2018. What better team to profile than my favourite team which is still active... Williams! i think you call the FW07 the FW09 at 4:08? Haha, oops! Thanks for pointing that out to me mate, glad you enjoyed the video overall. Time for video six in the series. This time we're taking a look at a team that was last seen in F1 almost 16 years ago, Arrows.